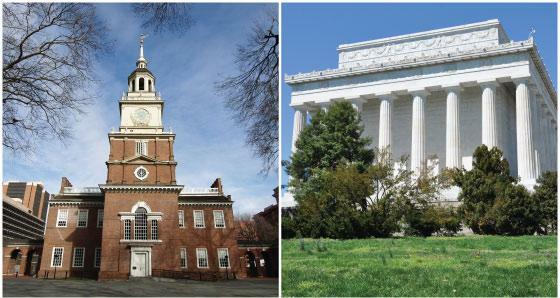 Book one of these popular bus tours to Philadelphia and Washington DC. Starting at $76 per person! Save on East Coast Tours! - Buy 2 Get 2 FREE! Great savings on multi-day US East Coast tours and vacations! Hotel and transportation included. 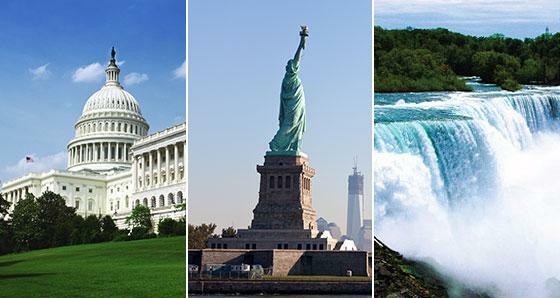 Sightseeing in Niagara Falls, New York, DC, Boston, Philadelphia and more. 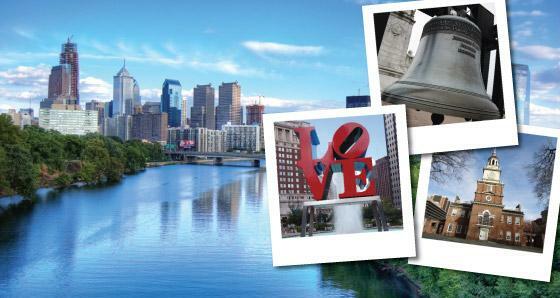 There really isn't a better way to become quickly acquainted with Philadelphia than to take a sightseeing tour. Several different tours are available, depending on the size of your group and the age of its members. Groups of no more than nine can glide around Philadelphia on Segways - one of the best ways to see the city without getting too tired. Double Decker busses are another great way to tour Philly. These fully guided tours offer stops at all of Philadelphia��s best attractions, including Betsy Ross House, Chinatown, the Philadelphia Zoo and City Hall.